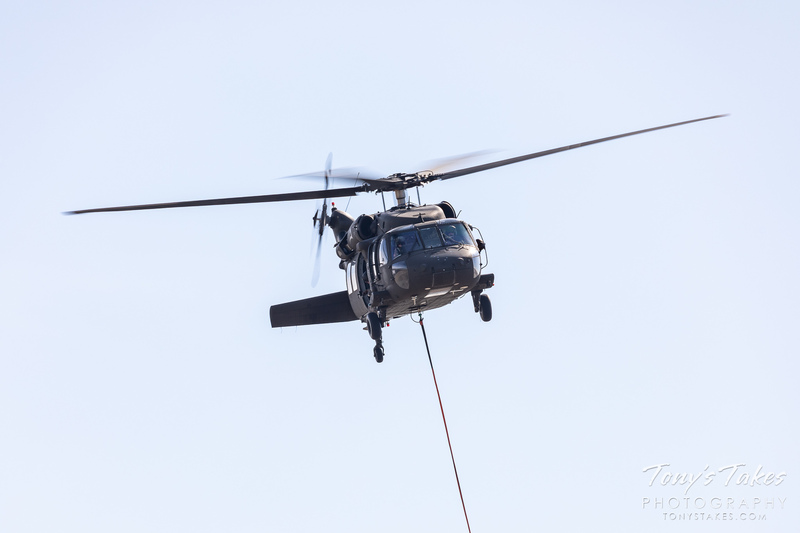 Wildfires are an unfortunate fact of life in the west during the summer and the brave men and women that battle the blazes have to hone their skills before they join the fight. 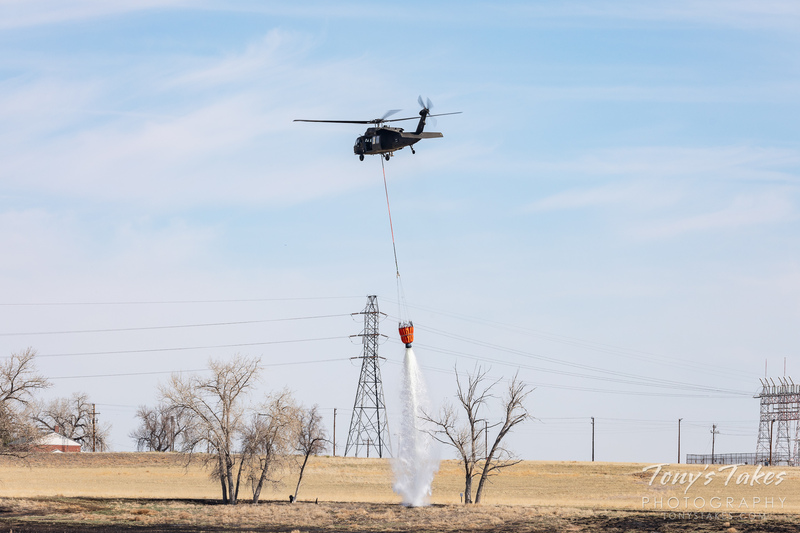 In recent days, the military has been practicing at the Rocky Mountain Arsenal National Wildlife Refuge. 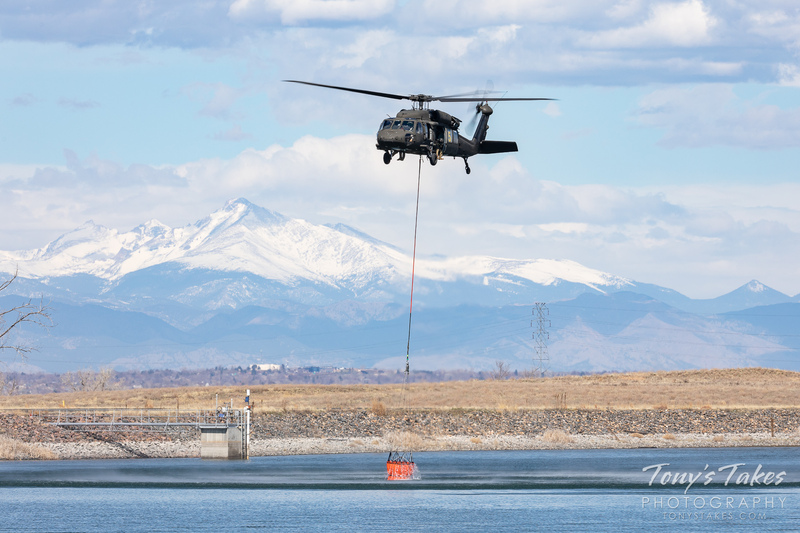 The UH-60 Blackhawk helicopters were picking up water from one lake and then dropping it near another. 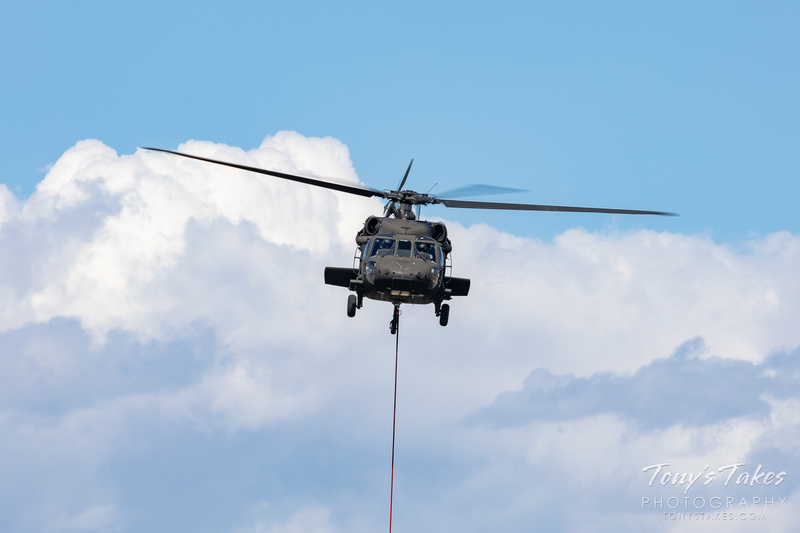 Having served many years in the Navy on an aircraft carrier, aviation and military photography doesn’t normally appeal to me but as those years move further into the past, I have to admit once again getting a bit excited seeing them in action. 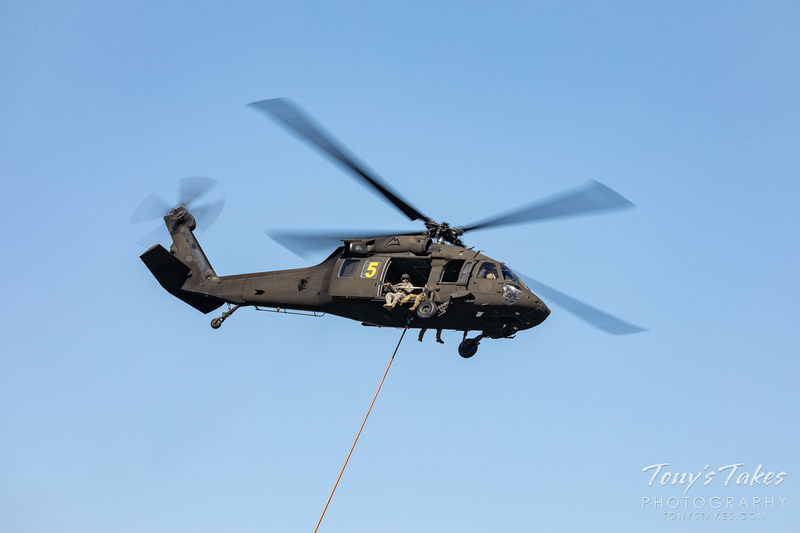 I flew on a number of different military planes and helicopters, including once on an SH-60, the Navy’s variant of the Blackhawk, dubbed the Seahawk. Truly an impressive aircraft. June 20, 2012 – A smoky sunset on the Great Plains. The summer of 2012 was devastating in terms of the size and number of wildfires in Colorado. 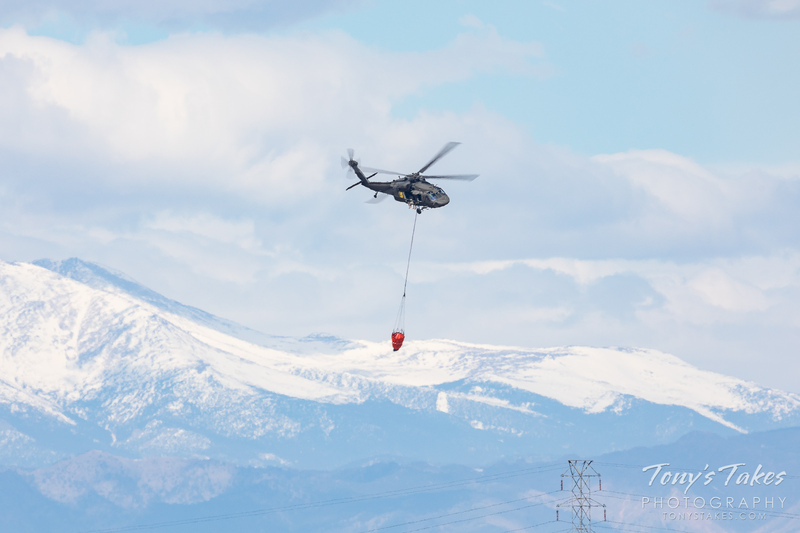 The largest of the season was the High Park Fire in the mountains west of Fort Collins. It was three weeks from the time it was first reported on June 9 to the time it was contained on June 30. In the interim it burned 87,250 acres making it the second largest wildfire on record in the state at the time. While camping on the eastern plains on June 20 in Morgan County some 40 miles east, I took this picture. Stunning, orange sunsets in this area are not unusual but the smoke plume trailing across the horizon from the fire made this one quite different.